1. If you want to use floating button and notification center while recording then click on "TURN IT ON". 2. If you want to use only notification center then click on "ONLY CONTROL FROM NOTIFICATION". 3. 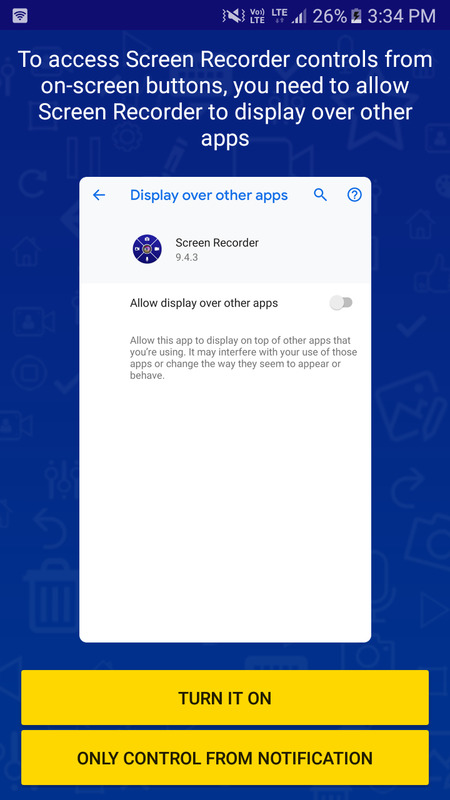 If you DENY screen recorder to access photos, media, and files on your device then you cannot record videos. 4. 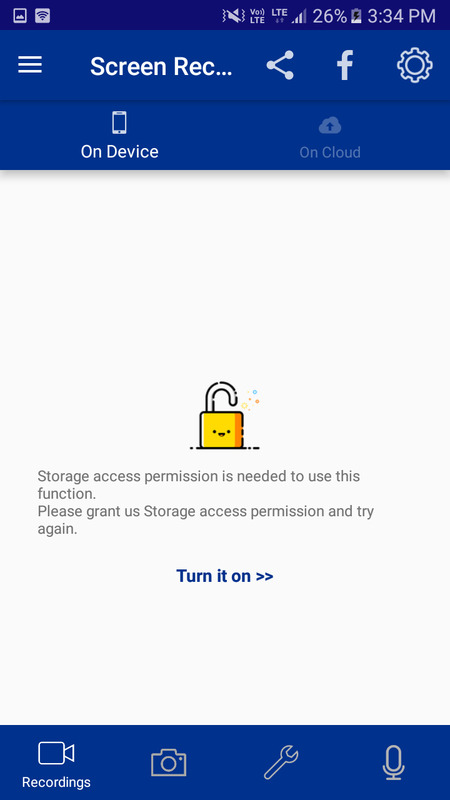 For recording videos with screen recorder you need to grant Storage access permission. 5. 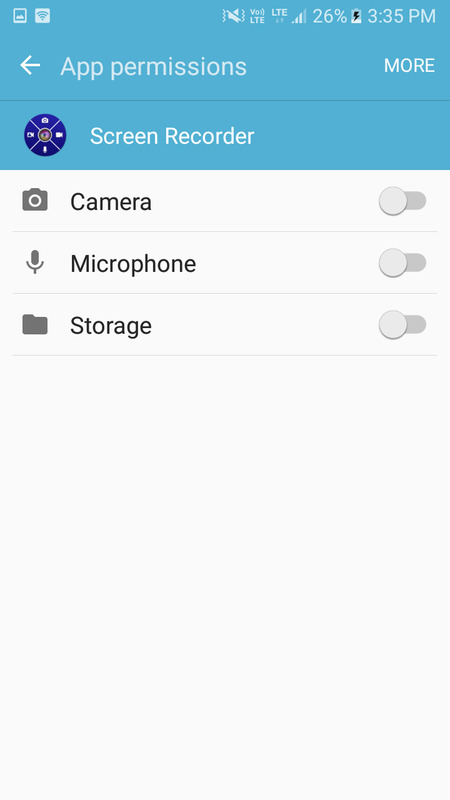 For recording audio with screen recorder you need to grant audio permission. 6. For interactive recording with screen recorder you need to grant camera permission.